Beautiful light blue background color rare 18th century Kansu carpet, Country of origin / Rug Type: Antique Chinese Rugs, Circa date: 18th Century – Graceful butterflies and delicate flowers dance and prance across a heavenly blue sky on this 18th century Kansu rug from China. 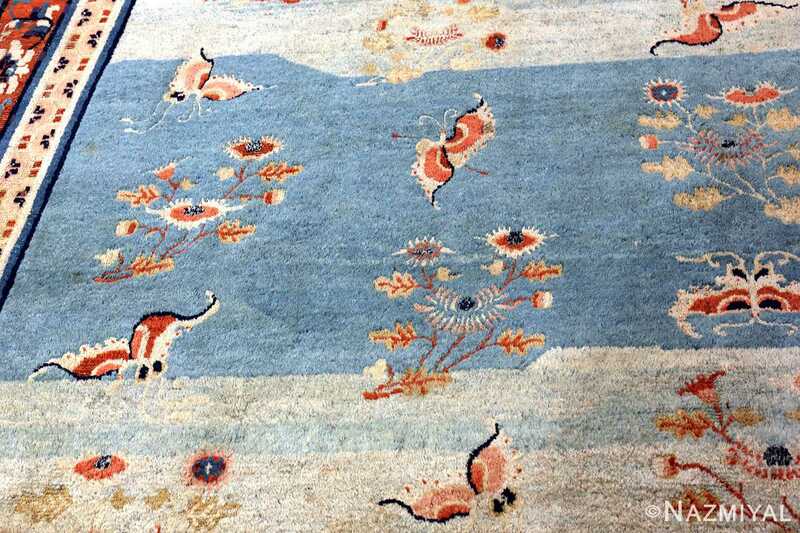 This superb example of Chinese art connects earth and sky using earthy reds and coral colors set against drifting abrash color shades of beautiful blues. 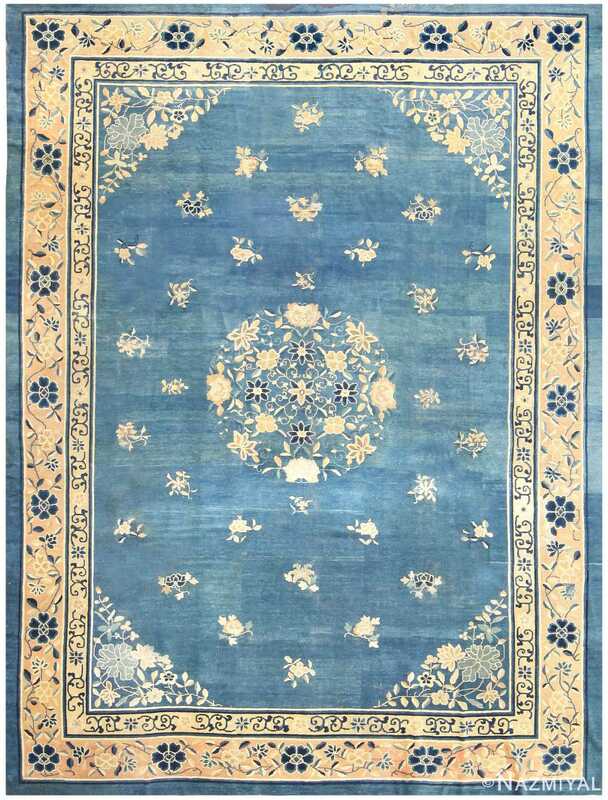 The delicate motifs and subtle shifting tones give this magnificent antique Chinese rug a feeling of floating on air. 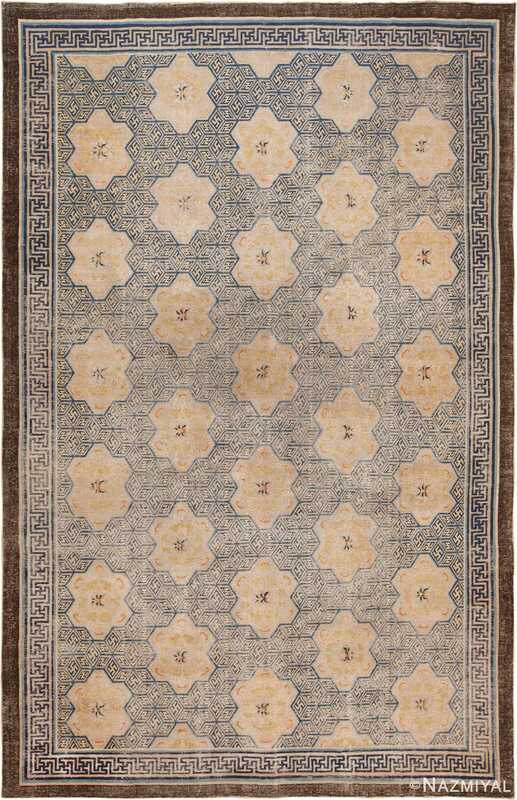 The rug design is based on a central mandala that radiates from a central focal point. 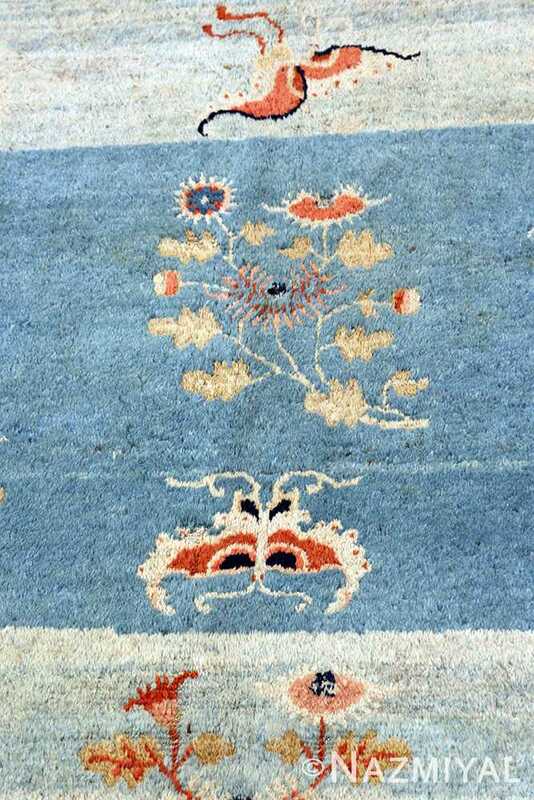 This sense of balance is carried throughout the rest of the design with the placement of the flowers and butterflies, as well as the elements of the main border. 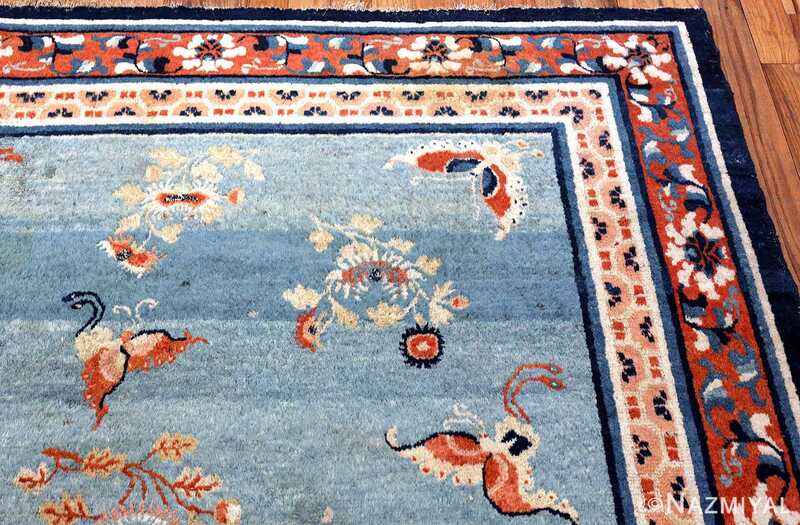 The use of symmetry throughout gives this breathtaking 18th Century Kansu carpet a sense of order that is reminiscent of the natural world. 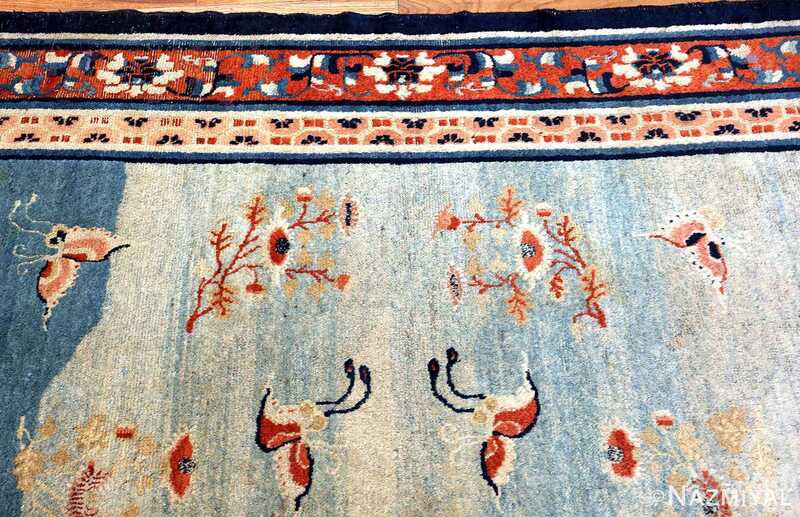 The use of color is also balanced by using warmer tones in the border and using cooler tones as the background of the main field of the antique Oriental rug. 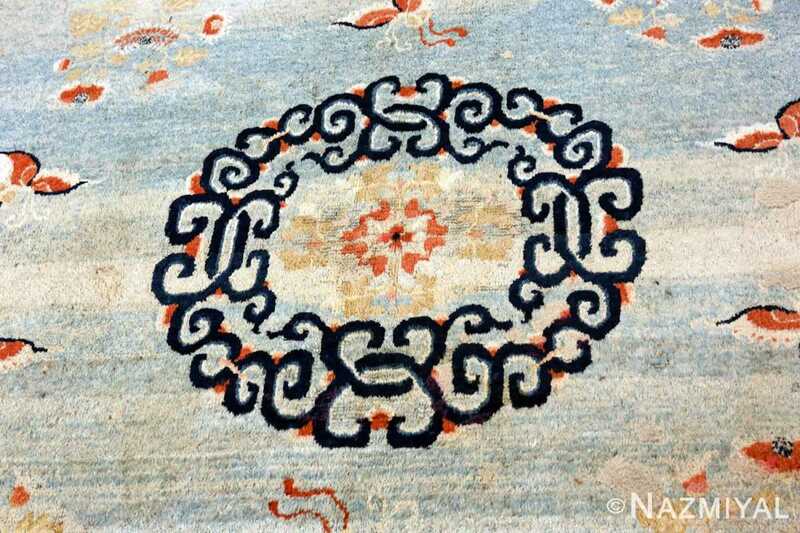 The motifs are depicted in a way that gives them a sense of motion. 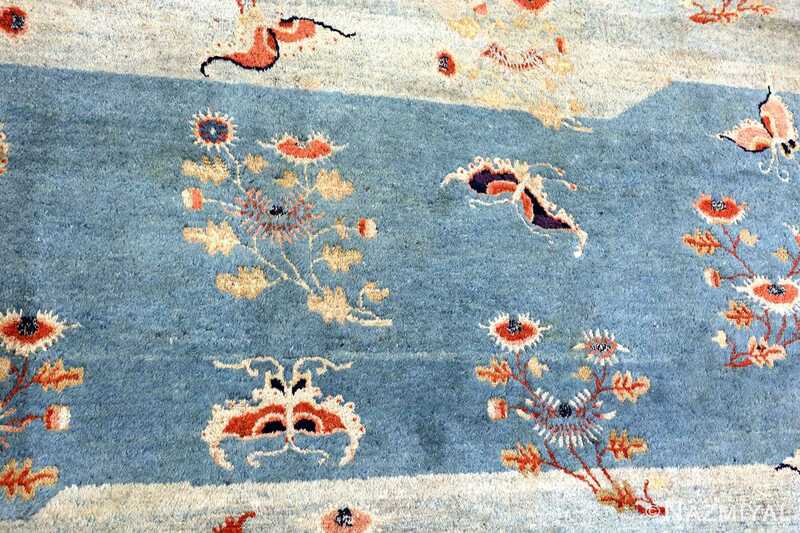 The butterflies appear to be floating in the sky and the floral elements gently bend in the breezes. 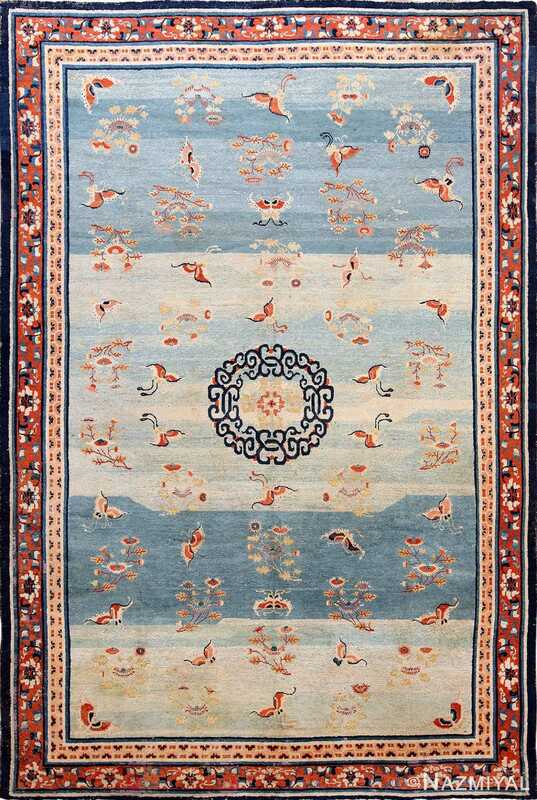 The entire piece has the feeling of a warm summer day underneath the clear blue sky. 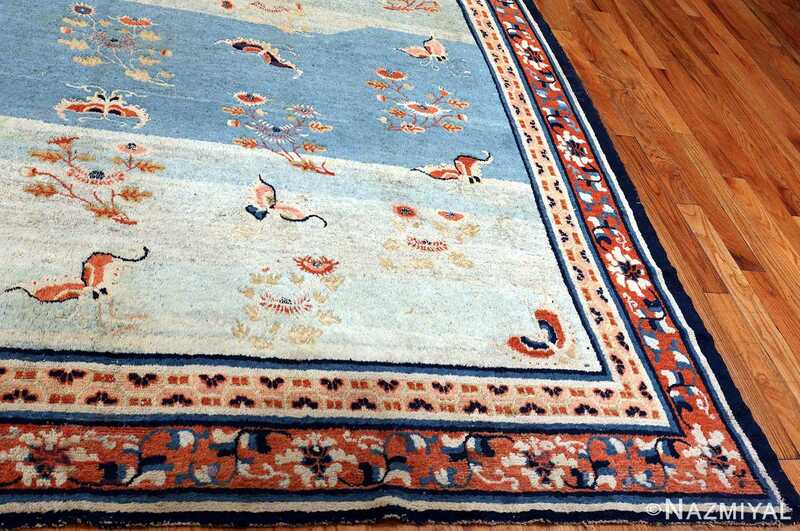 This antique carpet makes a beautiful addition to any interior decor and brings the outdoors inside through its use of the animals and plants. 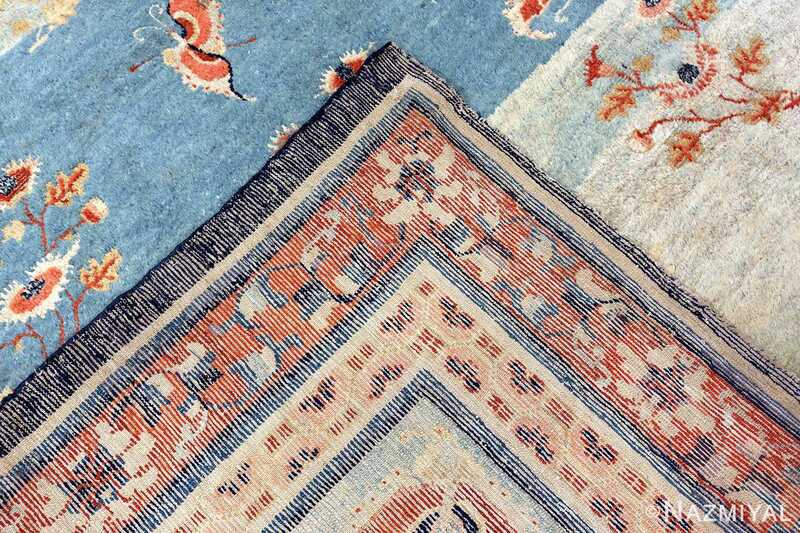 The shades of blue have shifted through time, becoming muted in a way that creates the appearance of clouds. 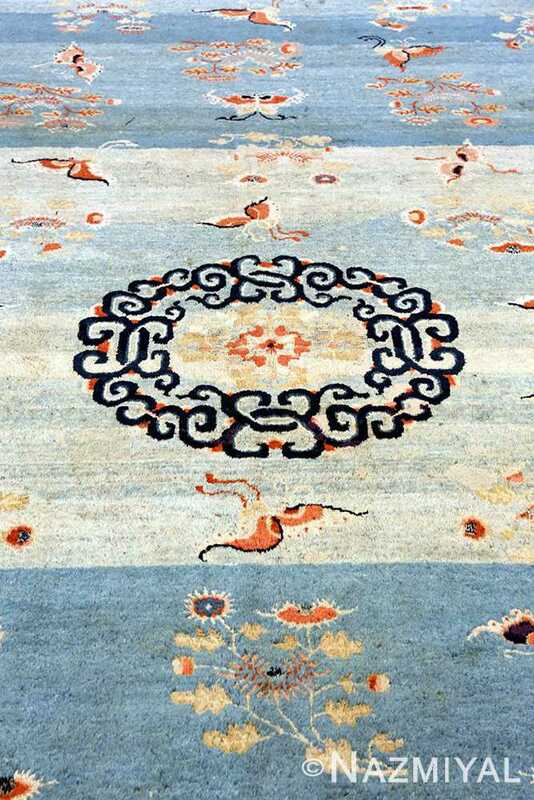 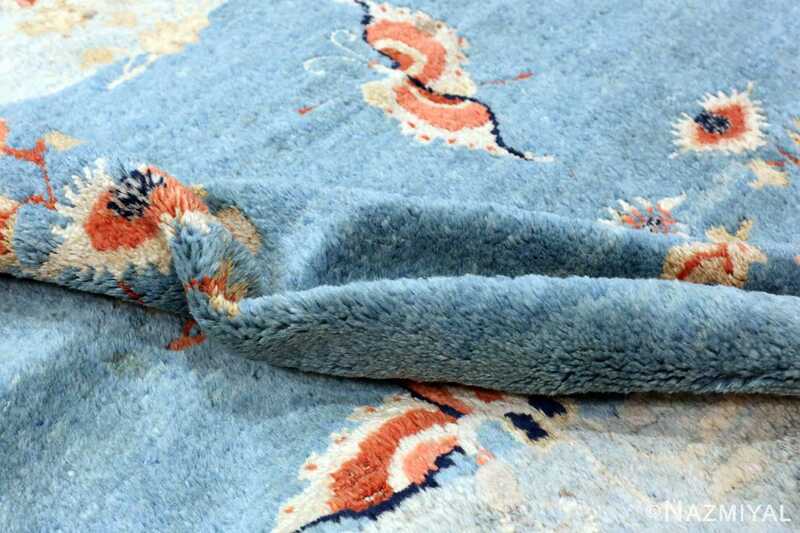 This subtle shifting of colors gives the antique rug elements that were not a part of the original design, but which make it even more beautiful and a piece to be treasured throughout the generations. 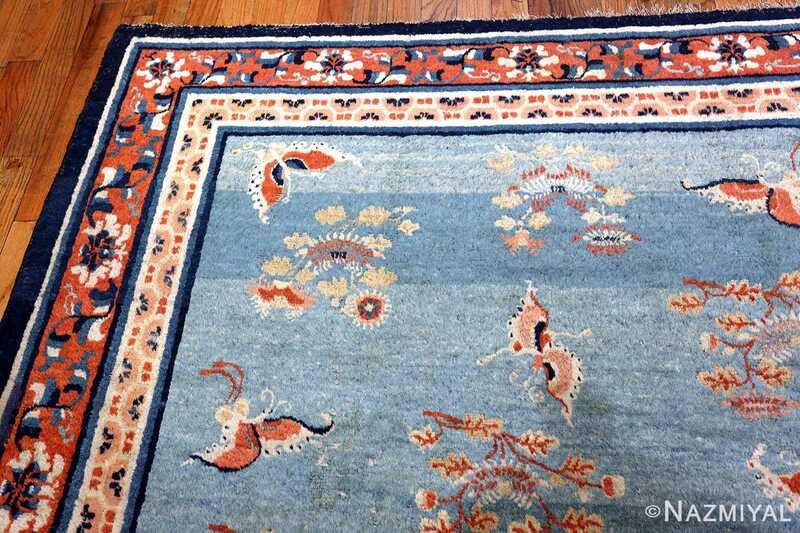 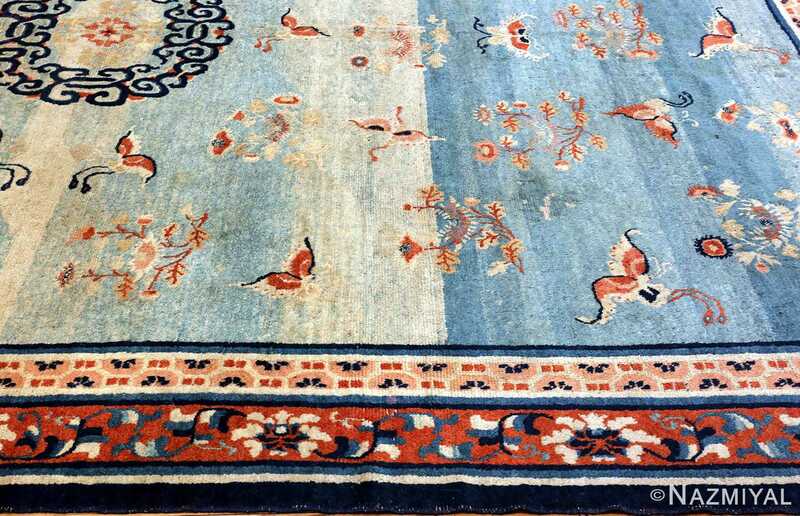 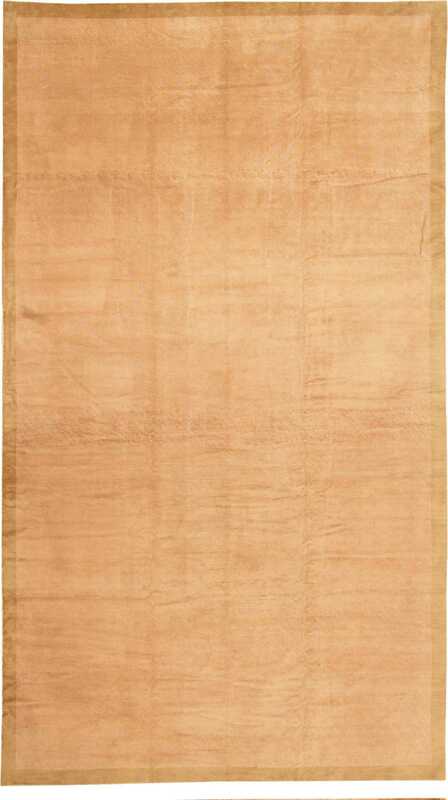 This antique Oriental Peking carpet is the at once traditional and yet so modern in its elegant simplicity.